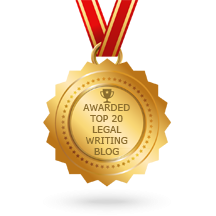 I will write and publish posts from other authors about recent changes in the law, cases of first impression or legal significance, legal procedure, or court and citation rules. Nothing posted on this blog should be used or considered as legal advice upon which you could rely to your benefit or detriment. If you need legal advice, please ask an attorney for a legal opinion. If you do not know what type of attorney you need, contact your state’s bar association, and ask for a reference. No one who posts or comments here can be held liable because you used this blog to solve a legal problem or question rather than seeking the advice of a licensed attorney in good standing with his or her state bar association.